A suitcase full of dirty clothes. A sad-looking house plant. And 437 photos and videos on your phone, tablet and camera. This is the typically messy scene after a vacation. And although we can’t do your laundry (thanks but no thanks), or run your errands (well, maybe a few), we’d still like to help. 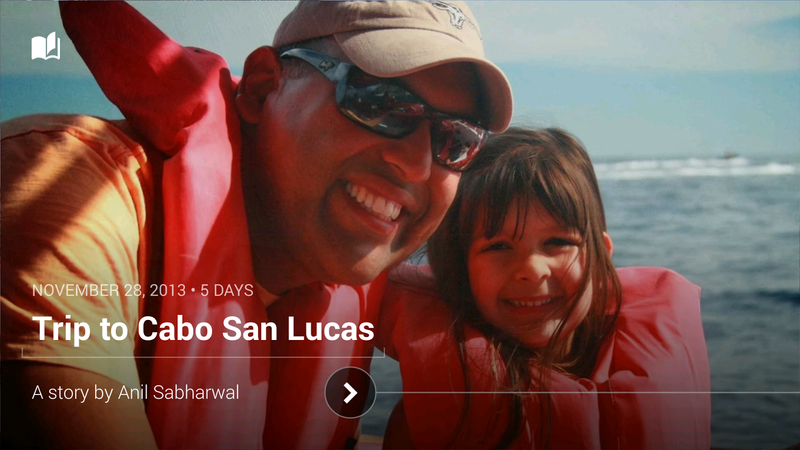 Enter Google+ Stories, which can automatically weave your photos, videos and the places you visited into a beautiful travelogue. No more sifting through photos for your best shots, racking your brain for the sights you saw, or letting your videos collect virtual dust. We’ll just gift you a story after you get home. This way you can relive your favorite moments, share them with others, and remember why you traveled in the first place. Stories will be available this week on Android and the web, with iOS coming soon. In the meantime you can browse my story below (click to start), or explore a few others by paraglider Tom de Dorlodot, DJ Steve Aoki and Allrecipes photographer Angela Sackett. When it’s less about travel, and more about today's events (like a birthday party, or baby’s first steps), Google+ Movies can produce a highlight reel of your photos and videos automatically—including effects, transitions and a soundtrack. Today we’re bringing Movies to Android, iOS and the web, so lots more people will receive these video vignettes. To get started with Stories and Movies, simply back up your photos and videos to Google+. And that’s it. Auto Awesome will get to work in the background, and you’ll get notified when a story or movie is ready. In fact: if your photo library is already online, you may already have stories waiting for you. So look for the new app in Google Play, view the full list of improvements on Google+, and enjoy your walks down memory lane. This entry was posted on Tuesday, May 20, 2014 at 7:12 AM and is filed under google+, photos. You can follow any responses to this entry through the RSS 2.0. You can leave a response. Driving through the Golden Years...and Beyond!